Are Grains Healthy For You? Whole grains are marketed as health food, but are grains really healthy for you? Are grains healthy for you? Should you get grains completely out of your diet? Here are some facts to help you lose belly fat and keep blood sugar levels consistent. For years we have heard that whole grain breads, pasta, bagels, and even cupcakes are "health foods" and NEED to be consumed, but present research is finding huge holes in that particular recommendation. Why is the search term "are grains healthy" so popular in Google? Why are items like whole grain breads and pasta now seen as saboteurs for weight loss instead of saviors to lose belly fat like suggested back in the 1980's and 1990's? We'll look at those reasons right now. Two of the most prominent authors to write on this subject are certified nutritionist, Isabel De Los Rios, and former Olympic marathon hopeful/Hawaii Ironman triathlete, Mark Sisson. Isabel is the author of the best-selling women's weight loss program, The Diet Solution (also known as the Flat Belly Solution), while Mark is the author of one of the most prominent men's fitness diet/workouts...The Primal Blueprint. * It is estimated that 60% of all calories for adults come from wheat, rice, soy, and corn. All high-carbs. * Many whole grains contain harmful glutens, lectins, and phytates that increase inflammation, compromise your immune system, and give you digestive problems. * Grains are altered and modified in processed foods to make them taste delicious. * Even after millions of years, our digestive system has STILL not adapted to the unfamiliar protein structure of grains. * Grains are carb-dense and cause huge spikes in blood-sugar levels when ingested. * The only difference between whole grain products and refined ones is that whole grains manage to hang on to a minimal amount of protein and a few micronutrients. Between the two authors, Isabel is a bit softer on grains than Mark. While both of them detail the harm done by the high-carb content of grains (as compared to raw vegetables), Isabel suggests that if women simply cannot get processed grains out of their diet, to eat only Ezekiel 4:9 organic sprouted whole grain products. 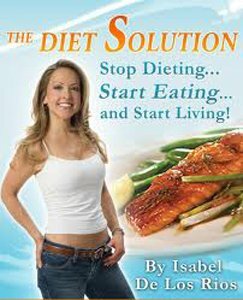 On page 52 of her Flat Belly Solution book, Isabel says, "The process of sprouting changes a grain’s composition in numerous ways to make it more beneficial as a food. It increases the content of vitamins (e.g., C, B2, B5, and B6) and beta carotene dramatically, up to eightfold." Since Mark writes more for a male audience, he is pretty adamant, saying, "Apart from maintaining social conventions in certain situations and obtaining cheap sugar calories, there is absolutely no reason to eat grains. 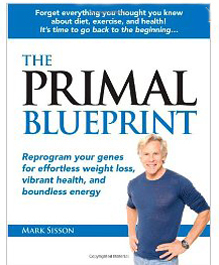 I'm suggesting you ditch all grains in favor of natural, Primal Blueprint foods." Here are a couple of simple strategies to get you started reducing grains (plus carbs and calories) to help you lose belly fat. * Stop eating crackers for snacks. 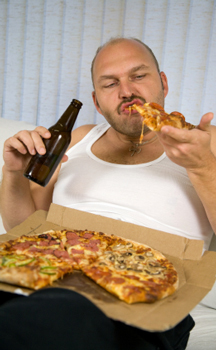 * Eat only ONE fist-sized serving of pasta, or only ONE slice of pizza. I've noticed a huge difference in how I feel and in body-fat percentage since I've reduced my grain consumption by 90%-95%. I only eat oatmeal for breakfast, and only eat bread when I go out on a date for breakfast. That's it. 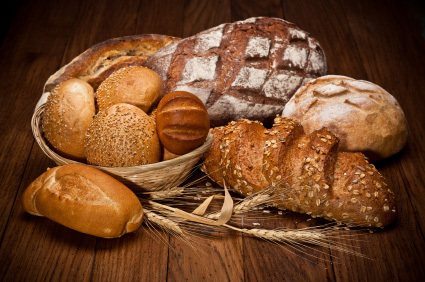 I hope this short article has given you some insight to the question, "Are grains healthy?"